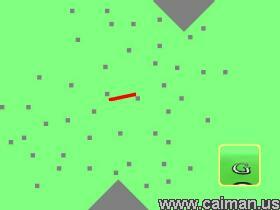 Caiman free games: Pined Pine Mania by Softwarewolf. This is a very simple game. 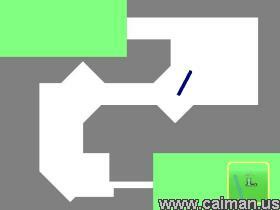 You control the rotating stick with mouse and have to reach goal and avoid all obstacles of course. There are 20 levels. The last level is superb hard and requires as many skill and time to complete as all other 19 ones together. Direct DOWNLOAD from authors site (no install - one file) 686 kB.